We are thrilled to introduce our brand new Healthy Connections project, supported by the Building Connections Fund. 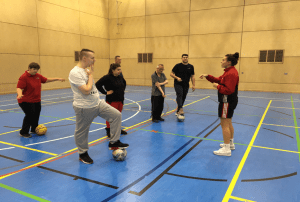 The project supports people to lead a healthy lifestyles and build social connections through a free ten week programme of activities. The project is designed for people who have little or no formal support. Each activity is free and supported for ten weeks at a time. You can take part in up to two sessions at a time. Travel to the morning sessions and in between sessions can also be supported. If you would like to continue with the same activity after the programme has finished and you are able to travel independently to the venue please let us know. Click here to view our brochure, which includes our latest weekly timetable of activities. Click here to view our special Easter Programme of activities, running from Monday 8th April to Friday 19th April. 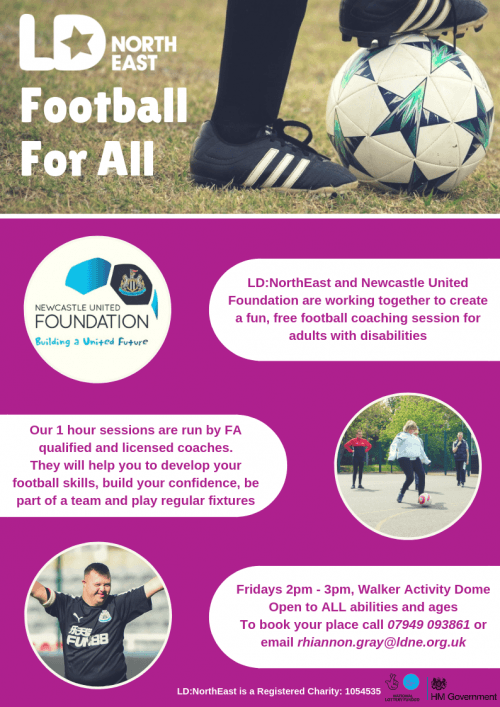 As part of the programme we are working with the Newcastle United Foundation to offer a fun, free football coaching session for adults with disabilities. It is open to all ages and abilities, and is the only session that is open to people outside of the Healthy Connections project. Please see our flyer for further details.